There have been a few times in my brief career as an amateur online film critic when I have been tempted to be lazy (or if you prefer, lazier than normal) and simply throw out a pithy, one word review for a film and move on. Sometimes, as in the case of the new anti-romantic comedy The Other Woman, I think it doesn’t even have to be a word, but maybe just a guttural sound encapsulating my immediate distaste for the thing. I was thinking Ack! summed this one up pretty well, though I would want to stress that even though this movie is an insulting sop to appeal to modern women, I do not reference the catchphrase of the comic strip character Cathy as any sort of feminist statement, ironic or otherwise. It is purely an authentic visceral reaction to how terrible this movie was. Ack! The Other Woman finds Cameron Diaz thankfully sans leopard tattoos, Rihanna-esque accent, and windshield fetish, now a hotshot corporate lawyer dating a dashing Game of Thrones alum, only to find that her new lover is a married man. When her accidental discovery also alerts the wife to the man’s infidelity, the two set off on what one would think would be a whirlwind adventure to get revenge, and in so doing find themselves and togetherness and so forth. I’m sorry, but even describing the lazy cliche-ridden story that this movie tries and fails to be is just too tiresome. I’ll take a movie with a skewed, two wrongs make a right morality if its done well, but if you’re going to go down this road, you have to know that it means working that much harder to make your characters if not redeemable, then at least likable in their shady behavior, and not one member of this rapidly ballooning cast comes even close. I get the feeling that, much like Diaz seems to see herself generally in comedic roles, The Other Woman has a somewhat over-inflated sense of how funny and endearing it is. It spends so much time establishing a caustic Odd Couple style relationship between its two (and eventually three) leads that it almost forgets about the part where their friendship is defined by their mutual hatred of another person. By the time we actually get to the revenge (i.e. what’s supposed to be the point of the movie), it only happens after they find and befriend yet another Other Woman, and then only in a perfunctory montage of pranks like laxatives in drinking water and hair remover in shampoo. Instead of giving us anything substantially amusing that’s inherent to the premise, it lingers on extended, and I’m guessing mostly improvised character beats that only make sense if they serve to make you care about the people involved, which I defy anyone to even try. Would you believe that Nikki Minaj’s extended cameo as a sassy secretary is probably the least offensive performance in the movie? Its the kind of stunt casting reminiscent of Kim Kardashian’s very similar role in Tyler Perry’s Temptation, and actually happens twice in this movie, as we also get the completely useless addition of (clearly not a natural actress) Kate Upton. Considering how little she adds to the film both in terms of talent and plot necessity, if this weren’t so clearly being marketed exclusively to women I’d almost suspect her only purpose was to serve as eye candy for men who couldn’t get out of seeing this as a date movie. I hate to cast that sort of sleazy aspersion on a film without knowing for sure, but her character is literally introduced in a slow motion Baywatch style run down the beach, and she’s given nothing else to do but look pretty for the rest of her screen time. Correction: Also serves to increase my blog's hit count. And then there's the ending. I'm hesitant to even bother with a spoiler warning, as any self-respecting fan of movies should know at least vaguely how this is all going to end up after the first five minutes. The girls are going to get together and exert their Girl Power and the evil cheating husband is going to be publicly revealed for what he is and get his long awaited comeuppance. 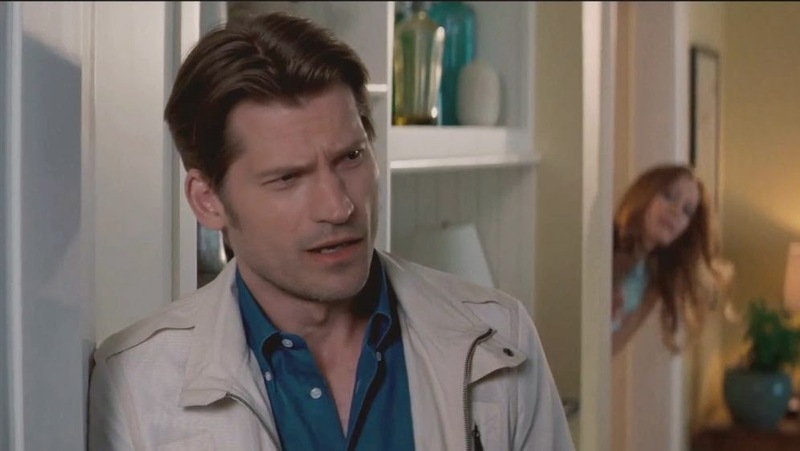 The only twist here is in the severity of said comeuppance, which has Nikolaj Coster-Waldau literally walking through pane glass walls and breaking bones in a sort of gruesome slapstick routine right out of the darkly satirical hyper violent Three Stooges movie that only exists in my head. Had this ending actually fit with the movie, or rather, had the movie fit with this ending, it might have been immensely satisfying, but as it is, it comes completely out of nowhere and in its disjointed failure only serves to remind the audience of what a train wreck this entire affair turned out to be. The biggest disappointment of The Other Woman is that there actually is a good movie buried somewhere deep inside this mess, but no one involved seems to know how to find it or has any interest in doing so. In my introduction I called it an anti-romantic comedy, and I largely mean that as a positive thing. This is a movie that is at least structurally perfect for a post-Frozen feminist sensibility in mainstream American cinema that I sincerely hope catches on, just in a better written, more entertaining form. It mostly eschews the temptation to saddle its characters with positive romantic subplots to contrast with the negative ones, treating the platonic all-female friendships as good enough for a happy ending, representing a shift in movies that slowly seem to be chipping away at the idea that female protagonists always ultimately need a man to be happy. It fails, but its still indicative of movement in the right direction. Or maybe its abject terribleness is actually a step back, but the train is moving so fast that it still feels like forward momentum. Not quite sure yet, but maybe we’ll get a better idea of the state of things when someone finally gets this right, which feels like its coming sooner rather than later.